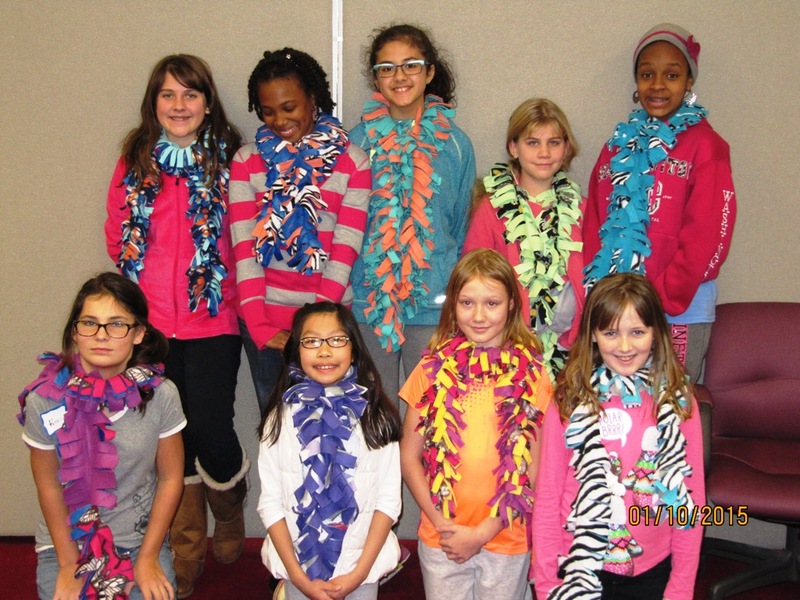 The Plano TX Chapter of the American Sewing Guild is dedicated to Teaching Another Generation (T.A.G.). A special interest group for children ages 8 – 17 who like to sew or want to learn how to sew. $5 fee, includes practice fabric and notions. After two visits, TAG students must become junior members of the ASG Plano Chapter ($25/year). Four spots for advancing repeat students and four spots for beginning learners. If you are new to TAG, please scroll down to the “more information” section below or email tag@planoasgsews.org with questions. WELCOME TAG STUDENTS…. SEW GLAD TO HAVE YOU! This year we will again offer our sewing class on the second Saturday morning of the month (check the project calendar for exceptions). The great folks at Plano Sewing Center are allowing us to use their space again. THANK YOU PLANO SEWING CENTER! We hope you will take advantage of having the project calendar in advance to select projects you don’t want to miss. Our class format has changed. This year we will offer one session each class day, from 10am to 12am. There will be four spots for advancing repeat students and four beginning learners spots. We will continue to furnish practice fabric and notions for a class fee of $5. For some projects, students may prefer to choose their fabrics to match their own theme or décor. Approximate yardage requirements are posted with the project. Supervised independent sewing may be another option. If you participated in the blouse project last year, stay tuned for details! Please note: Practice fabric is provided with the $5 class fee. Fabric requirements listed above are for those who wish to purchase their own. Registration is now closed for the April 13 class. Please subscribe here to receive an email when the next session is posted. Please note: We confirm registrations by email approximately one week before the session date and will alert wait-listed students that week if any spots become available. All details will be included in the session email confirmation, but please feel free to email tag@planoasgsews.org if you have any questions. For students joining us for the first/second time, just bring yourself! If your child does not have a sewing machine, we will provide one to borrow for the first two classes so you can see if she/he enjoys sewing before purchasing one. Download suggestions for purchasing a sewing machine. We will also provide a pencil box of basic notions for your child to borrow during class so she/he can see what a basic sewing kit should include. Sewing machine in good working order. Students are encouraged to bring their own machines so they will learn more about operating them. Sharp scissors – do not use for paper cutting! If you would like to be notified by email of upcoming T.A.G. classes, please subscribe here by checking the box for “Tag ages 8 – 17 Plano” under Neighborhood Group Email Updates (you can uncheck the general email updates if you would like). We will send an email shortly after posting the next session details and occasionally for special announcements (1-2 emails per month). The American Sewing Guild offers a Junior Membership for youth members age 17 and under. Youth membership is extended for ages 17 – 22 if they are a registered high school or college student. Junior membership is only $25 per year. ASG guidelines require that your child join the American Sewing Guild after attending two meetings. When you fill out the ASG registration PLEASE put the junior member’s name on the application (not the name of the parent or guardian). It is fine if you would like the emails to come to the parent, but we need to know the junior member name. In the comments field, please also put your child’s age. There are many ASG membership benefits, which are listed on the ASG website. Do you sew? We are always looking for volunteers to help with the T.A.G. program. No long-term commitment is required and you can volunteer at the morning session (advanced), afternoon session (beginners), or both sessions. You need not be an expert sewist, but basic machine skills are needed. Email tag@planoasgsews.org to be added to the volunteer email list. A big thank you to the Plano Sewing Center for providing our meeting space each month! The Plano Sewing Center sells Baby Lock sewing machines, several types of thread, Schmetz needles and parts for most machines (and they do machine repair). They sometimes have second-hand machines for sale, so ask a staff member if you are looking for a new machine. A thank you to Rhonda Pierce with Schmetz Needles for donating an assortment pack and ballpoint needles for sewing on jersey knits and information booklet and needle chart to our February 2017 TAG students. Please note: If your child attended the AM TAG February session and did not receive needles, we will get them to her at a future TAG class. Loralie Designs donated sewing-themed fabric for our January 2017 apron project. Sulky donated thread sampler packs for our January 2017 session attendees. Havel’s Sewing donated Dura Snips for our August 2016 session attendees. I have a 16 yo interested in learning to sew. She has some experience but needs more than I know at this point. She also has a friend that is 15 that is also new to sewing. My daughter, has made pajamas and a pillowcase 8 years ago and has made a small mini quilt and a pad for her sewing machine to sit the past few weeks. She has her own machine, a Viking Topaz40. She would like to learn to design clothes, quilt, embroidery, make patches, just about anything related to sewing she is interested in doing. Certainly, we are interested in joining the guild.